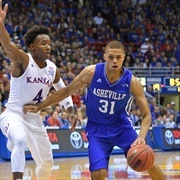 As usual, the conclusion of the 2018-2019 NCAA Basketball Season brought the first round of way-too-early top 25 projections for the 2019-2020 season that will begin in November. A large chunk of the creators of the early lists have Baylor returning to the top 25 after being picked outside of the Top 25 and ninth in the Big 12 last season. Macio Teague will be a junior for Baylor in 2019-2020. A big reason for Baylor’s inclusion in the lists is not only the returning production (including forward Tristan Clark who will be back from injury), but more specifically the additions of impact transfer guards Macio Teague (UNC Asheville) and Davion Mitchell (Auburn). 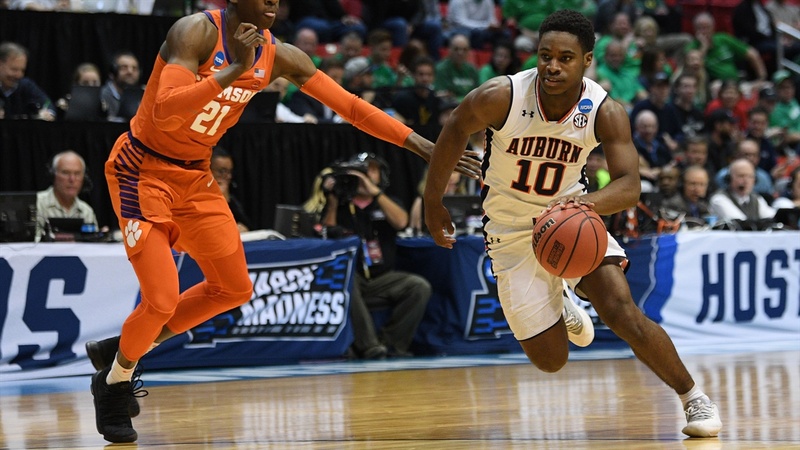 Teague (6-3, 190), who was courted by many programs around the country including National Champs Virginia, averaged 16.7 points, 4.4 rebounds and 2.5 assists as a sophomore in 2017-2018. Mitchell (6-1, 200), the No. 59-ranked prospect in 2017, played 17.1 minutes for Auburn and averaged 3.7 points as a freshman as a backup guard. Clark’s production prior to his season-ending injury at the beginning of Big 12 play gives the Bears a third player with significant experience and talent to help the Bears next season. Clark (6-9, 240), averaged 14.6 points, 6.3 rebounds, 2.4 blocks and 1.6 assists in 14 games to begin his sophomore season. In two Big 12 game Clark averaged 17.0 points, 5.0 rebounds and 3.5 assists. Baylor also returns significant producers Jared Butler (10.2 points), Devonte Bandoo (39.5% 3PT), Mario Kegler (10.5 points), Mark Vital (7.2 rebounds) and Freddie Gillespie (1.1 blocks). Baylor had approximately eight billion injuries a year ago, not least of which was a season-ending injury to Tristan Clark, one of the Big 12’s top young big men. Next year, you can probably remove the “young” from that title. And with Mark Vital, Freddie Gillespie and Mario Kegler, Baylor has a really nice frontcourt, one that could get even better as Matthew Mayer develops. But perhaps the biggest surprises came in the backcourt where, as Makai Mason battled his own ailments, players like Jared Butler, a freshman this year, and an overlooked junior college guard in Devonte Bandoo, stepped in well. The Bears are kicking the tires on some graduate transfers, but the pieces for a solid team are already on campus. 15. BAYLOR: Scott Drew loses Makai Mason from an NCAA Tournament team but he will get Tristan Clark back and add a couple of transfers in MaCio Teague (UNC Asheville) and Davion Mitchell (Auburn). The Bears also return Jared Butler, Mario Kegler, Devonte Bandoo and Mark Vital.